This listing is for one copper wire wrapped bracelet. 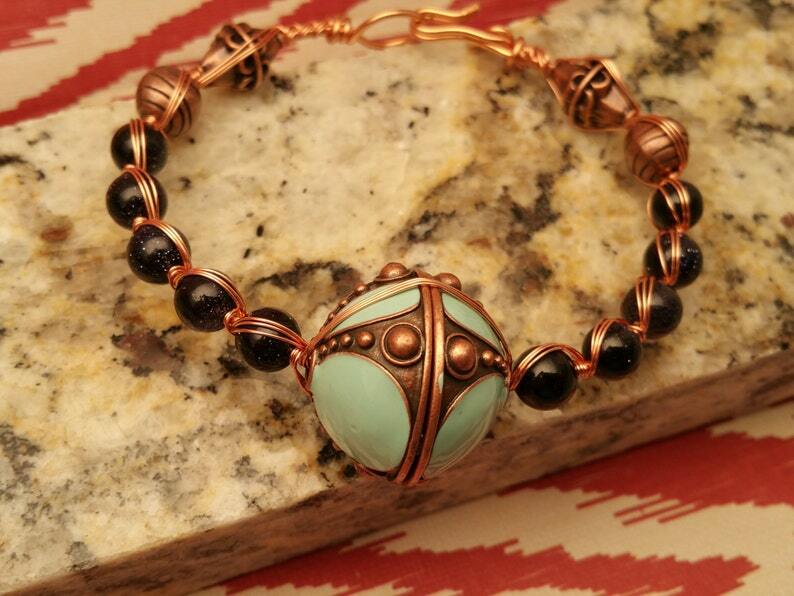 ** 18 gauge copper wire is used as the body of this bracelet. ** 26 gauge copper wire is then wrapped around each bead, securing the beads in place. ** The clasp is made from the body of the bracelet which eliminates small parts that might loosen with time and lost. ** Beads incorporated in the bracelet are black Czech glass beads , bronzed metal beads, large focal bead that is bronzed with faux turquoise color. 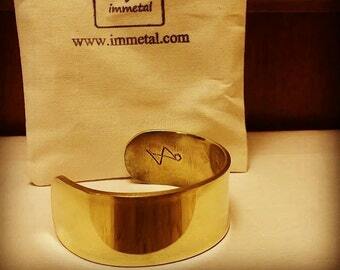 The bracelet size is small to medium. After receiving any item from Immetal Designer Jewelry and you have any issue, please contact me and I will make sure you are satisfied with your purchase. Positive or negative feedback does not affect the quality of customer care I offer. Thank you for looking .